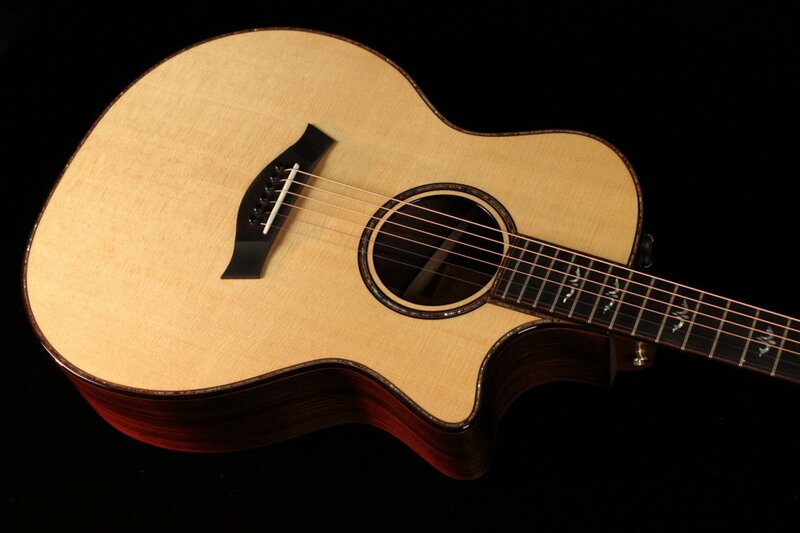 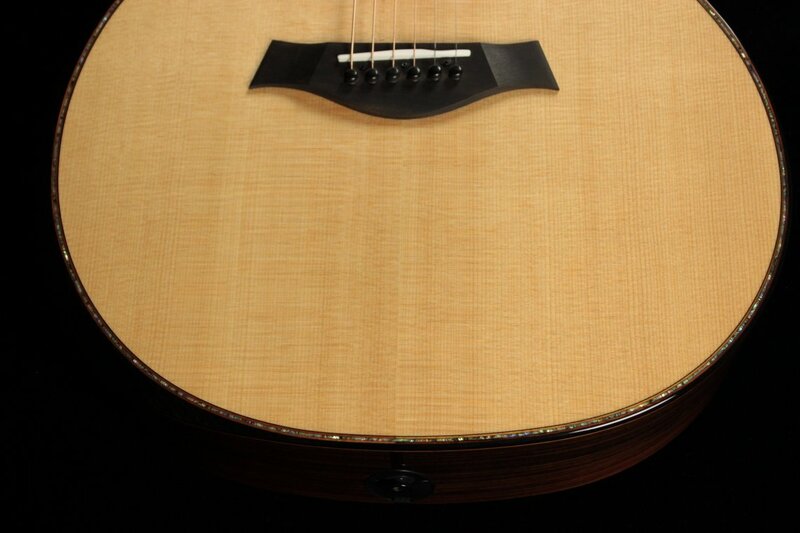 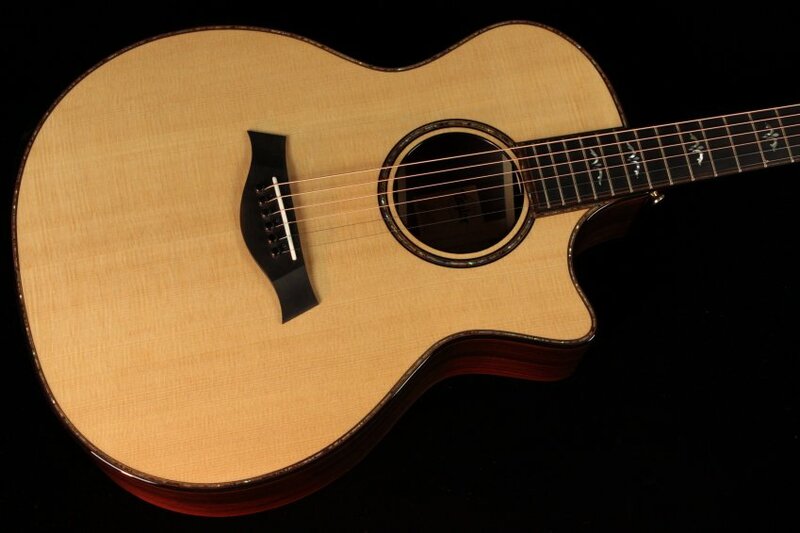 Gino Guitars Guitars is pleased to present the Taylor 900 series! 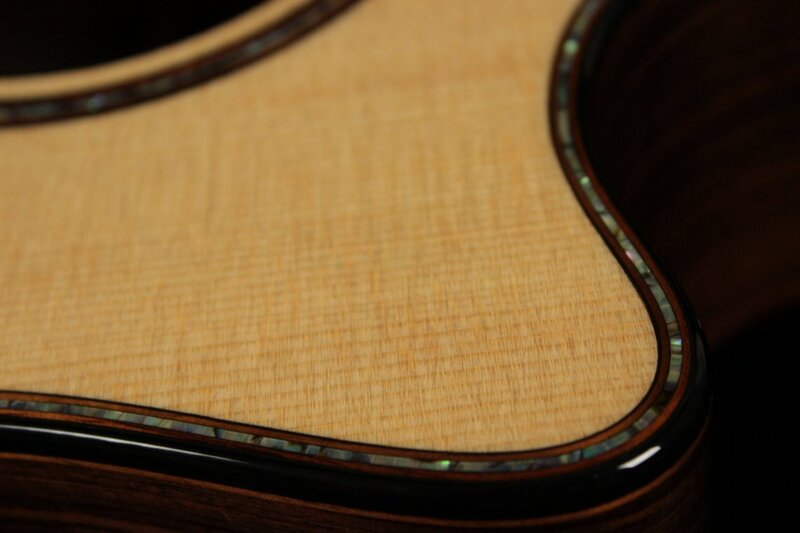 The natural top is stunning, and the Indian rosewood back and sides are truly out-of-this-world, but let's not overlook the tiny details that make them true heartbreakers. 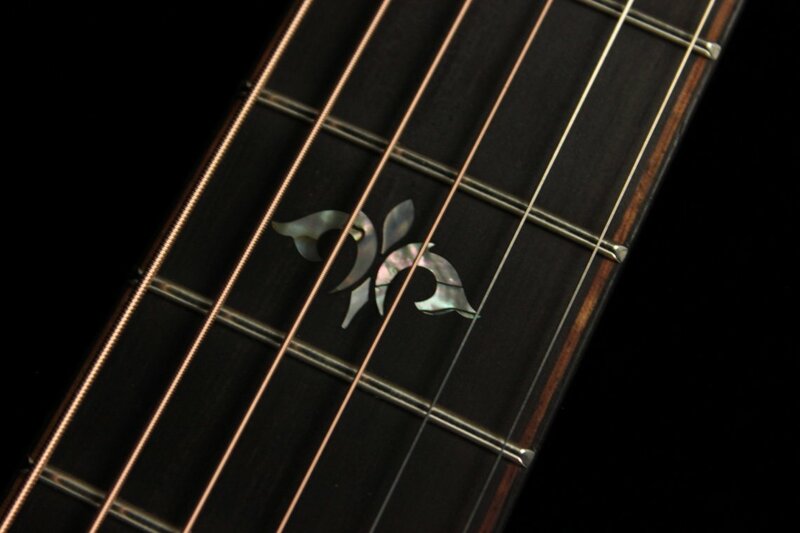 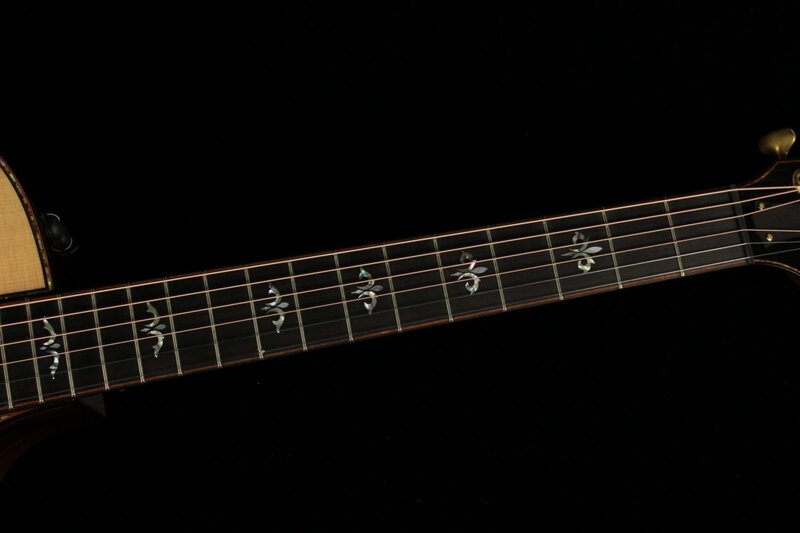 The koa trim around the fretboard, the paua rosette with with ebony and koa purfling, and the stylish abalone and pearl ascension inlays are all small touches that make this guitar a truly elegant work of art. 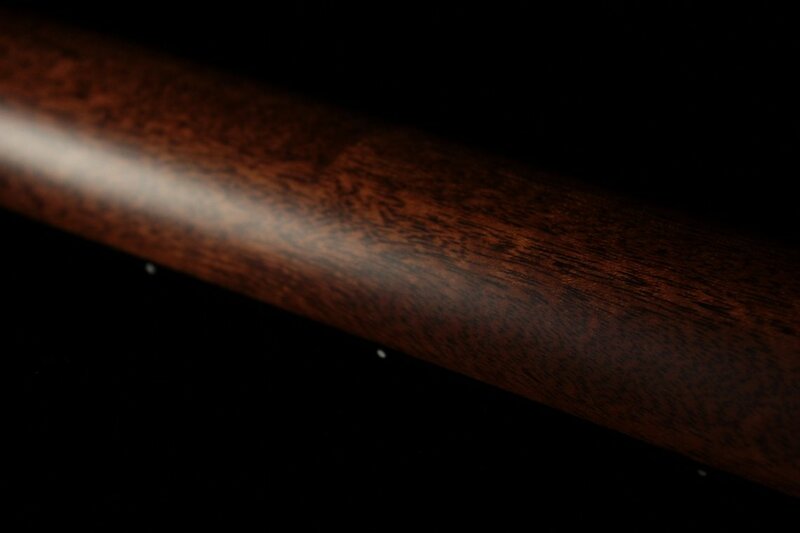 The beveled armrest only adds to the sophisticated aesthetic, and it has significant ergonomic benefits, too--cramped right arms after long practice sessions are thing of the past! 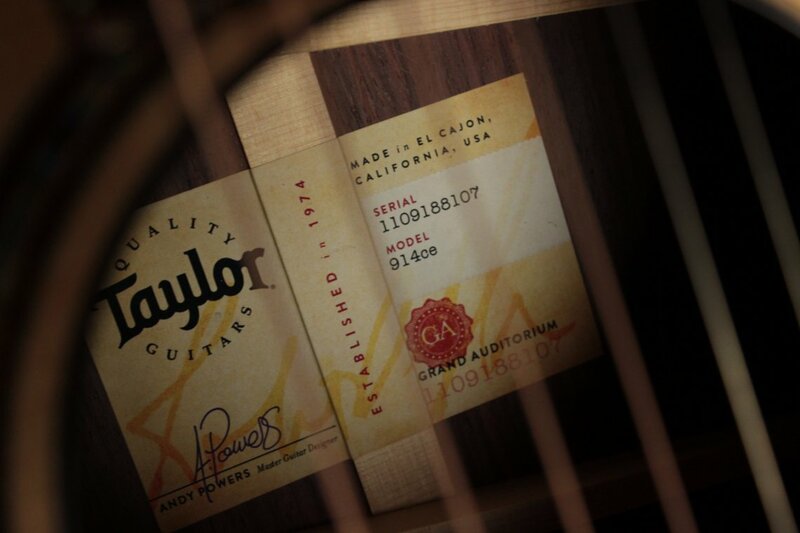 Andy Powers has done a bang-up job redesigning Taylor's bracing system to give these guitars exceptional balance, clarity, and fullness, too (more on this in a second!). 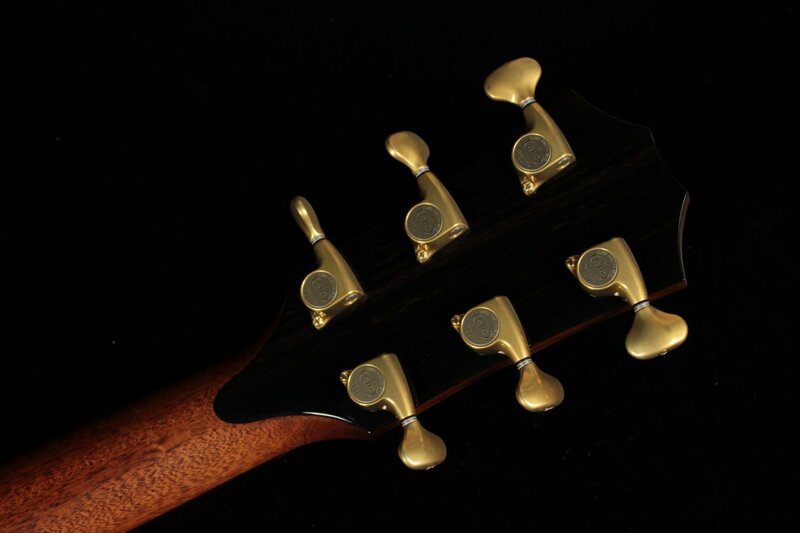 When you add the beautiful bell-like response of the rosewood back and sides into the equation, you get a touch-sensitive guitar that somehow manages to sound full and rich even if you barely touch the strings. 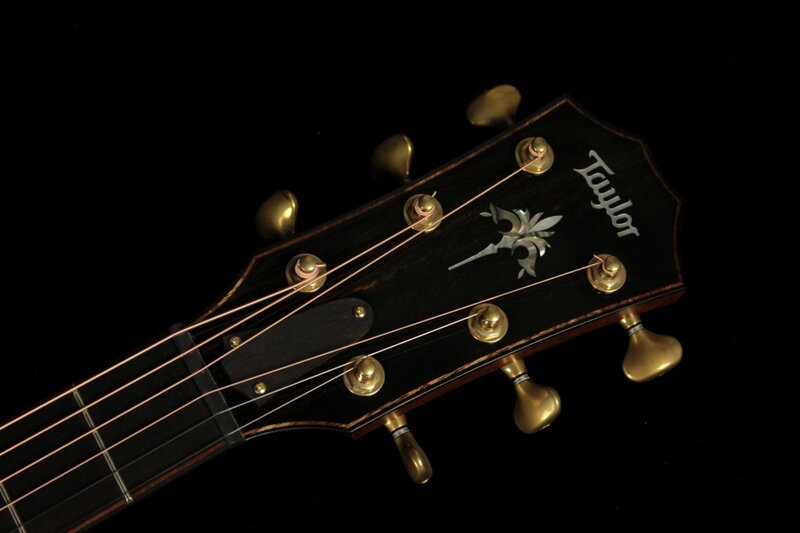 Of course, the Taylor ES-2 electronics ensure that all of this nuance and detail will come through crystal clear should you ever decide to show this beauty off to a live audience. 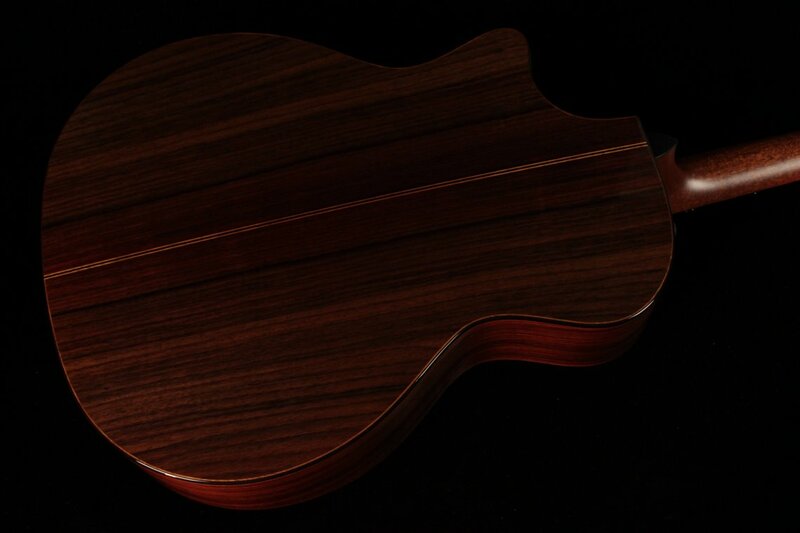 We all flipped our lids over these guitars when they came in, and we are so excited to share the 914ce with our exceptional customers.